Consider the following example. Superstar Britt and Regular Joe Fed get married in the summer of 2004, and subsequently have two children. Realizing she could not take his womanizing ways any longer, Britt files for divorce in the fall of 2006. She subsequently has a meltdown, and Fed is awarded the majority of the parenting time for the children. As Britt earns several times what Fed does, she is ordered to pay him spousal support for a brief amount of time, as well as $20,000 per month in child support. Britt is also ordered to pay $100,000 in attorney’s fees to Fed’s divorce attorney as a result of the divorce litigation. Years pass, and Britt’s career is washed up. Ticket sales to her performances are at an all-time low. She does not have enough money to pay her massive credit card bills and the mortgages on her three mansions, let alone her $20,000 per month child support obligation. What should she do? Will filing for bankruptcy solve her financial woes? By the time Britt is beginning to consider filing for bankruptcy, her obligation to pay Fed spousal support has ended, but she is still on-the-hook for that massive monthly amount of child support. She hasn’t made a dent in that $100,000 attorney fee judgment, either. While the credit card debts may be dischargeable and a bankruptcy attorney could advise her how to deal with the unpaid mortgages on her real estate, this article will specifically focus on whether Britt (and others) are able to discharge family support obligations such as maintenance (spousal support, formerly known as alimony), child support, and attorney’s fees pursuant to a divorce. 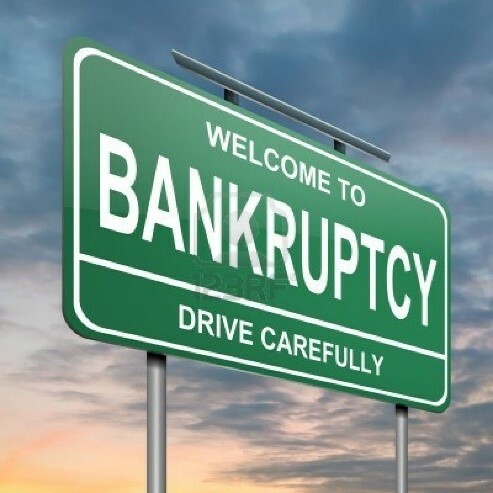 Specifically, Section 523(a)(5) of the Bankruptcy Code provides that a discharge of debt under sections 727, 1141, 1228(a) and (b), or 1328(b) does not discharge the debtor from domestic support obligations. Such “domestic support obligations” include a debtor’s requirement pay spousal support to a spouse or former spouse and child support to one’s children. If Britt attempts to file for bankruptcy to rid herself of the $20,000 per month child support obligation to Fed, she is probably out of luck. The court will likely rule that the child support obligation is non-dischargeable. This decision can be made either by the federal bankruptcy court or by a state court, because state courts have concurrent jurisdiction with the bankruptcy court over grounds for non-dischargeability issues pursuant to section 523 of the Bankruptcy Code, excluding 523(a)(2), (a)(4), and (a)(6). See, e.g., Matter of Balvich. 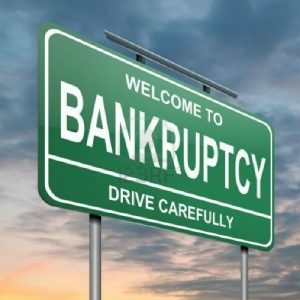 The Balvich court noted that “…§ 523(a)(5) determinations need not be made by the bankruptcy court. Unlike dischargeability questions based on § 523(a)(2), (4) and (6), where debts are automatically discharged unless the creditor asks the bankruptcy court to make a determination of non-dischargeability, a debtor’s obligation to a former spouse or child is either discharged or not, pursuant to § 523(a)(5), based upon the nature of that obligation regardless of whether or not the bankruptcy court has been asked to pass upon the issue.” So if Fed hears of Britt’s bankruptcy filing and wants to challenge it, he can take it to bankruptcy court or to state court and ask for a finding of non-dischargeability. With regard to child support, it is likely that Fed would prevail. As for the $100,000 in attorney’s fees Britt owes to Fed’s lawyers, certain debts that don’t fall under “domestic support obligations” may also be non-dischargeable in bankruptcy. In 1994, the Bankruptcy Code expanded to include Section 523(a)(15), which provides that “A discharge…does not discharge an individual debtor from any debt…to a spouse, former spouse, or child of the debtor and not of the kind described in paragraph (15) to a spouse, former spouse, or child of the debtor and not of the kind described in paragraph (5) that is incurred by the debtor in the course of a divorce or separation or in connection with a separation agreement, divorce decree or other order of a court of record, or a determination made in accordance with State or territorial law by a governmental unit. Therefore, if this fictitious case were brought in Illinois, many courts would likely find that such fees ware non-dischargeable in a bankruptcy under Section 523(a)(15). If you fear your former spouse may attempt to discharge certain debts or obligations related to your divorce, consult us to learn how to protect your rights.